Featured Game, Featured Dev is a series of interviews on rpgmaker.net. My goals are to further promote RMN's featured games and creative minds behind them! This month on Featured Game, Featured Dev, I sat down to have a chat with OldPat. 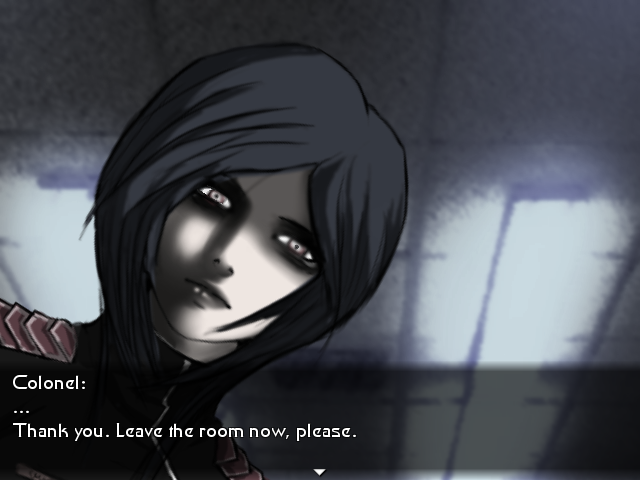 His game PSYCHE Locke already got featured on renewed RMN Podcast, to which you can listen here. 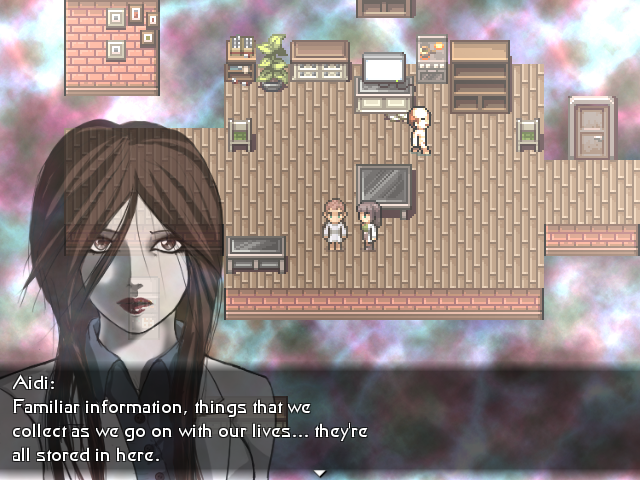 In addition to being featured the game won several Misao awards and became RMN's game of the year. 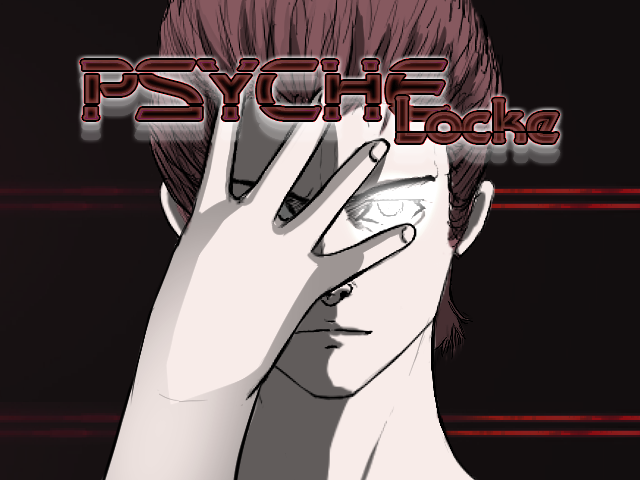 PSYCHE Locke is a stealth game, in which you need to enter minds of other people in order to solve puzzles. The game has a cyberpunk storyline and you can read more about it and perhaps even a download here. Thanks for letting me interview you. Could you introduce yourself? First of all, thank you! I'm OldPat, a 24 (almost 25, actually. Damn!) years old IT student with a passion for things like movies, drawing, writing, Game Design, graphics... all of these things are a part of my biggest passion which is Game Developing. Video games have always been a passion of mine since I was very little. I began making games more than 15 years ago (let's avoid talking about the old games I've worked on! xD), and from there on out my goal has always been the same. I want to express myself through this medium and I want to entertain others. Making videogames for me is like breathing, is an hobby I could not live without. Did you expect Psyche Locke to be your breakthrough project on RMN? How does it feel? I gotta say it was quite unexpected, yeah, because PSYCHE Locke is a small game made in 3 weeks for the Theme Roulette event. I wanted to make that game so bad since I liked the concept a lot. I'm proud of what it turned out to be and I like it, even though I wished I could've done more and make it as complex as it was originally intended. So yeah, I thought it couldn't compete, especially considering that RMN is a community full of talented developers and I'm really honoured that they think PSYCHE Locke is worthy of this recognition. I hope that now more people will play it and, hopefully, like it and that they will follow my future projects as well! How did the restriction of Theme Roulette changed your working process? What were the parts you were forced to cut out? 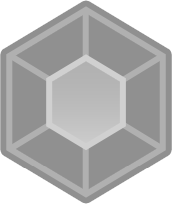 Did you work on the game after the event's end? I really wanted to work on the theme that it was assigned to me for the event ("Yourself"). That's because what I really like and really want to do is give life, depth and charisma to my characters, and impart a bit of myself in them. Telling something deeper, that happens within my characters' psyche, not just explaining something that just happens plot-wise. It's something I always try to do, in my other projects as well, because a story is just a story to me, but the way that story is told, the way characters feel about certain events and the relationships between them are what matters the most to me. That's why, sometimes, I have trouble coming up with something to tell. I try to give a soul to the project I'm working on, so I struggle a lot with the proper way to deliver the message I want to deliver and make the whole experience feel worth to be played. In short, that's the reason why I believe that "Yourself" was the perfect theme for me. It took me around two weeks of really thinking about how to properly give life to my ideas and give them proper justice inside the gameplay. I wanted to focus on what was really important, the core, the concept of identity. PSYCHE Locke was a very experimental project so I had to go in "blindly" for certain stuff. I couldn't afford to get stuck in the "planning phase" so I avoided trying to make an extremely complex and convoluted story or programming complex game mechanics. I just wanted to tell a story that could fit that theme. I had a working and playable release by the end of the event. Since I cared about the project and it grew on me, I decided to polish it a bit more, missing the opportunity to release the game in time for the deadline. I eventually released it a week later, maybe two. I had to work on the game by really thinking about what I wanted it to be, and avoid all of the unnecessary bits. In the end, a lot of stuff had to be cut out. The game, for example, was supposed to be an RPG, initially, with Locke as a mute protagonist. The player had five different stats which represented the Big Five personality traits and those stats would've shaped Locke's behaviour and also influence the game's overall plot. But that mechanic was a bit too complex and difficult to introduce to the player so it was eventually scratched. Also, I wanted to give much more complexity to other people's Mind Palaces. When Locke merges with other people, he has the ability to enter someone's Mind Palace and "merge" with their memories, their personality, experience their fears. It was supposed to be a much more intricate part of the whole game but in the end, that had to be simplified too because of time constraints. This is one of my regrets, the fact that I couldn't give more characterization to each characters in the game using the Mind Palace's gameplay feature potential to its fullest. Do you plan on making a follow-up to PSYCHE Locke or expanding its world in any other way? Even though I've recently thought about possible sequels or spin-offs, PSYCHE Locke was conceived as a self-contained story. I think it did what it had to do, I don't want to ruin it with unnecessary sequels. Although its mechanics and the concept behind the game could be expanded for other projects. As for PSYCHE Locke's world and lore, you get a glimpse of it in the game itself but not that much... so who knows, maybe the game's expanding on an already existing universe.... It's certainly too early to talk about it. So, It does link to your long-term project Karma Flow 2! What can you tell us about that game? When do you target to release it? Who knows? I didn't say anything! xD But yeah, if you want let's talk about Karma Flow! Karma Flow 2 - Steel Skin is an "Open Stealth" game featuring a noir setting. It's the sequel to Karma Flow - The Prototype, a short game I made in a month for a Short Game Contest. The game follows the story of Meat Hunter named Florien Kealborn, an assassin, who is trying to come to terms with her past. The story takes place in the city of Rolsara, a city which is completely in the hands of criminal families, the only ones that are able to keep economy in check after the war that engulfed the whole country of Hardnam some years before. Unfortunately, a mysterious force, called "Karma", began to manifest itself. This bizarre phenomenon basically began to punish everyone involved in any sort of criminal act. Any crime committed is equally punished, meaning that killing someone would result in the killer dying the same way! Flo has to find a way to carry on with her work without the Karma finding and punishing her. Not going to say much else about the story, but the whole introduction, together with how the "Open Stealth" works, is explained in Karma Flow - The Prototype which is available for download. I'm still working hard on Karma Flow 2as of now. The plot is ready, so is the screenwriting and some design elements. There's still a lot of work that needs to be done on the gameplay engine, as I want to create an elaborate stealth system that is something different than what you usually see made with RPG Maker and, since this is my main project, I also want the story and narrative to be as good as possible. I want to do the best that I can. Also, initially, Karma Flow was supposed to be a trilogy. But I'm actually considering making a single Karma Flow, containing all of its chapters. I'm still thinking about it, though. Both Karma Flow series and PSYCHE Locke have cyberpunk setting. Where you draw inspiration from? Well, actually Karma Flow has more of a modern noir setting, while PSYCHE Locke has a dystopian noir/psychological one. Although yeah, especially as far as character design goes, I do take a lot of inspiration from Cyberpunk-like designs and settings. It's kinda difficult to tell where exactly I draw inspiration from, as I get influenced by lots of stuff. Talking about video games, I think my greatest source of inspiration is probably the Metal Gear Solid series. Not only because the first MGSs implemented cinematography in video games in a way that was never been done before, and that alone blew my mind, but also because I always liked the fact that those games "communicated directly" with the player. Kojima, to me, is a master in "fourth wall breaking" and in playing with the player's expectations. I always liked that and I would like to do something like that too. Playing with the player just as much as the player plays with my games. Twisting the player's expectations and delivering something unique. That's what I am aiming for. Many other games influenced me as well. 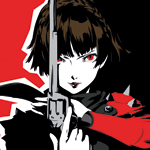 Another one of my biggest source of inspiration is probably the Persona series when it comes to style and overall characterization. The people who made Persona really know how to give life to both the characters and the setting. I used to watch lots of 80s/90s anime back when I was little. Those especially shaped me up a lot. I used to watch animes like Hokuto No Ken, Galaxy Express 999, Cowboy Bebop, Neon Genesis Evangelion, Lupin the Third and other classics like Ghost in the Shell and Akira although... those were really hard to watch when I was a little kid! Tetsuo's transformation still haunts me to this day... Ashita no Joe is probably one of my favourite anime of all time because it taught me to get up and move forward, facing any obstacles in my way. That anime was really motivational! Karma Flow owes a lot to Ghost in the Shell and animes like City Hunter when it comes to setting. Tsukasa Hojo is also one of my favourite artists of all time, by the way. He has such an elegant art style! I wish I could draw like him someday. PSYCHE Locke owes something to Blade Runner, instead. Locke's design is also slightly inspired by Rick Deckard's. When it comes to RPG Maker games, the games that influenced me the most were the old classics like The Way, Three The Hard Way, A Blurred Line (Which I loved a lot back in the days) and a lot of very good Italian games like Fifth Era (made by Lollo Rocket Diver, the same person who recently released Nec(H)roma, which won one of the IGMC's categories) and Pocket Quest! Those were also the kind of games I used to study thoroughly in order to learn how to properly develop a game of my own. I owe a lot to those games. Talking about RPG Maker games, have you played any 2019 releases, which you would consider nominating for Misoas? Are there any upcoming projects you're hyped for? Unfortunately, this year I didn't have enough time to play new releases. It was a busy year between game making, working on commissions and also beginning to give my support to another development team. Talking about Misao games, I did play a bit of Aria's Story, which got me curious as it received lots of nominations. I think it was a very nice looking product and a polished one at that, although that kind of "moe-ish" horror isn't exactly my thing. I remember nominating Eremidia, richter's/Hanamura's game, for Misao for "Most Promising Demo". I loved how polished that product was, I loved Hanamura's art style and the game has tons of potential. I hope Hana is keeping up with it. Also took a quick glance at Fire RMNblem and it certainly is a well-made community game. SIM RPG Maker games are also something you don't see very often. Also, I try to be as supportive as I can be with other people's projects. Trying to get interested in them and giving advice when needed. This is the reason why two years ago I started a project with some users from our Italian community, the community were I grew up. We created a Discord server as a way to connect with other devs and support them and when people wanted to talk a bit about their projects or when I saw people with lots of potential I tried to follow their progress. I think communication between devs is something that's really important and that's what really makes you grow a lot. That's why I noticed and followed Cutiesbae's game EMPTY HEAD in our Italian community. I'm happy to see that she managed to finish her game and also got nominated for "Best First Game" in this year's Misao. As I said previously, I always look up to Lollo Rocket Diver and his projects are always a source of inspiration for me. So I'm hyped for Nec(H)roma, one of his games that recently won one of the three IGMC's categories, and I hope he will eventually finish the game. Do you plan on joining more community events this year? If it were for me, I would participate in all of the community events! I'm always hyped whenever a "game making-centered" event is announced. Unfortunately, I don't have the time for all of them. I'm really glad that RMN is active and announce new ones often, though. I will certainly try my best to participate whenever I can! What is your stance on going commercial vs. staying strictly hobbyist? I think that the best middle ground between going commercial and staying strictly hobbyist is the indie world. That's the path I wish to follow. The problem with going full commercial is that you have to think about what the masses want, not what you want. But I have certain needs when making video games and I want to express certain things. Would you consider going commercial with a game yourself? As long as it's a game that suits my needs and that I like then yeah, I wouldn't mind for it to become a commercial game. Mostly because that's a way to distribute the game to a wider audience. And that's what I want, for more people to play my game. Okay, I think we got through. Is there anything else you would like to share? I want to thank you for giving me the chance to talk a bit about myself and my projects! I hope more people will get interested in what I do and that they will play my games and share their thoughts with me. I also want to thank RMN because it's been a while since the last time that I found a community as active as this one and I'm feeling right at home. Never stop game making! And I thank you for taking your time to answer my stupid questions. Congratulations and good luck with your projects! Thanks for your kind words, Little Wing!